Vekkali Amman Temple is located in Woraiyur,Tamil Nadu.Vekkali Amman is said to be a reincarnation Kali. The people in and around of Woraiyur see Vekkali Amman as their guardian deity. According to legends, it is said that this Woraiyur village once faced the wrath of Lord Thayumanavar (Lord Shiva in the Rockfort Temple,Trichy) and the village was affected by a terrible stand storm. People had lost the roofs of the house to the fury of the storm. They prayed to their village deity, Vekkali Amman. She is said to have pacified Thayumanavar and saved the village.Aftermath of the storm, the people of the village had lost their shelters. 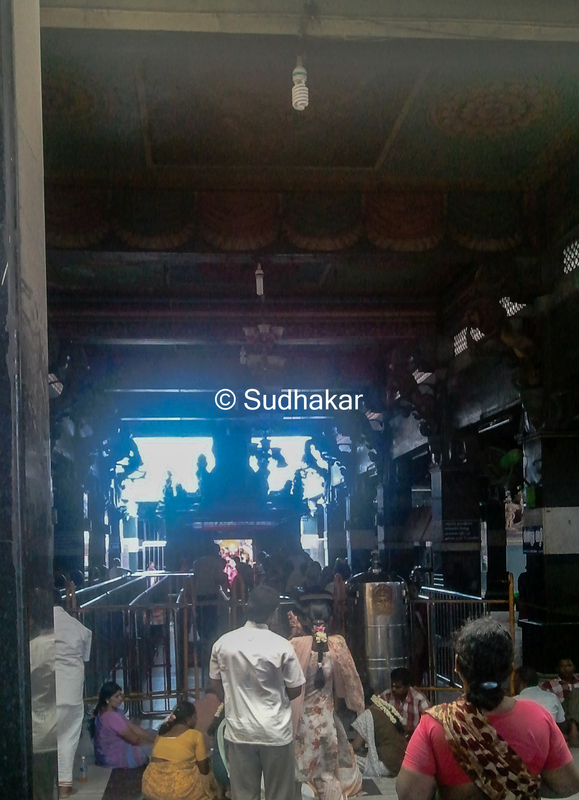 Goddess Sakthi (Verkkali Amman) also decided to live in a temple without a roof, until everyone in the village got a shelter.Hence even today, we can see the main sanctum of Vekkali amman without a roof. For some divine reasons, they could not construct a roof over the sannidhi, though many attempts were made during the past years. The Temple: The temple itself is small when compared to temples built by the Chola Kings. It is estimated to be 500 to 1000 years old. It has only one praharam. The amman sannidhi has no roof and open to sky. 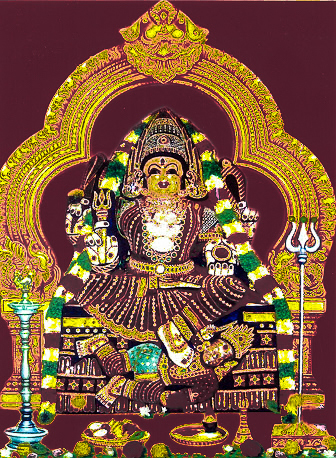 The Amman is facing the north and can be seen with her left leg on the demon and the right bent, which they say is a rare form of pose of Sakthi.She is seen holding the trisul (trident), Udukkai, and Akshaya Patra in Her four hands. Festivals The temple conducts Sarva Chandi Homam in the month of Avani (August-September). 5 day festival in Chithirai (April-May),Poochoridal in Panguni (March-April), abishekam with mangoes on the last Friday of Vaikasi (May-June), Navarathri in Purattasi (September-October), Fridays in Thai (January-February) and Fridays and Tuesdays in Aadi (Juy-August) are the festivals celebrated in the temple. 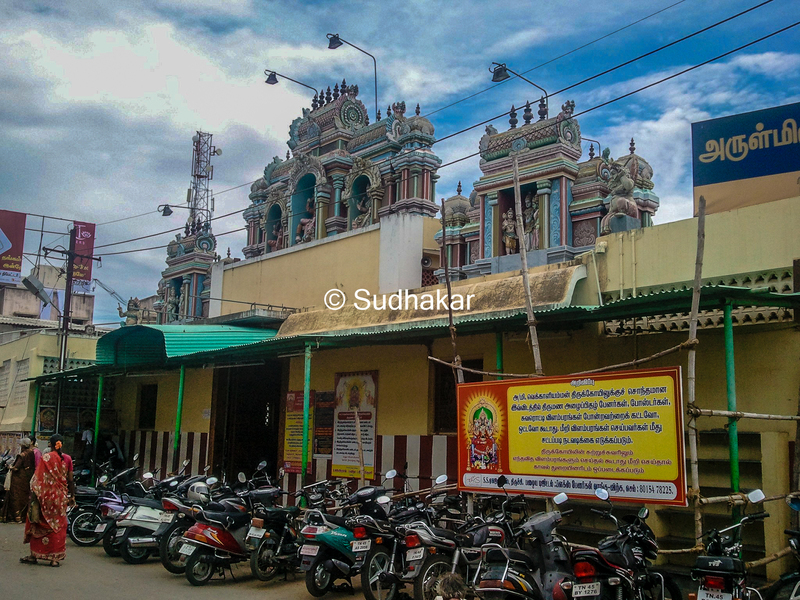 Temple location The temple is a in a busy street of Woraiyur or Uraiyur, 7 kms from Trichy Central. How to reach? This place is well connected by many local town buses,auto rickhaws and taxi cabs. 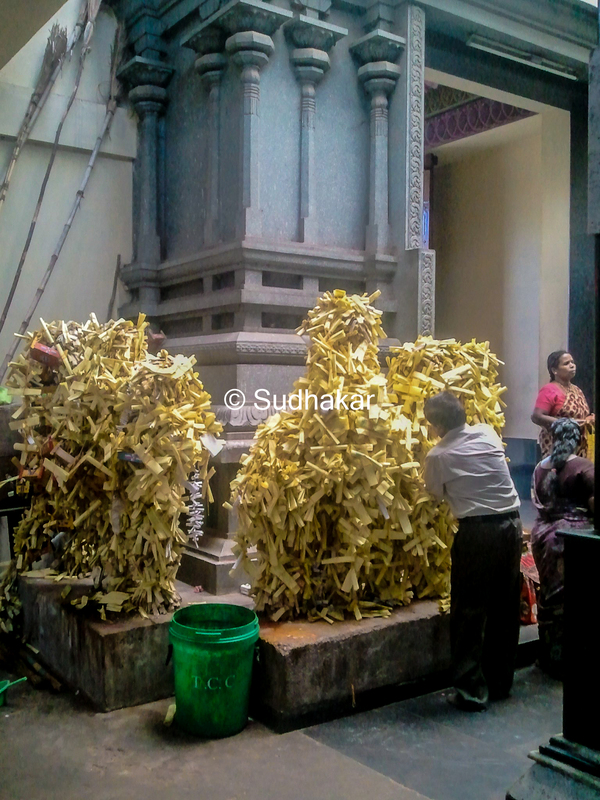 Other notable temples nearby Nachiar Koil Azhagiya Manavala Perumal Temple is one of the 108 vaishnavite divya desams,an ancient Shiva temple Panchavarnaswamy temple are in the near vicinity.